Redneck is proud to now offer two of the industry leading axle brands, LIPPERT components and DEXTER axle. 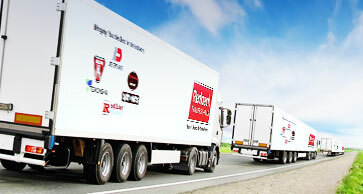 As the leading trailer parts distributor since 1979, redneck knows parts and quality like no other. Redneck offers axles that can meet any challenge in the rv, marine, horse/livestock, utility, and cargo trailer markets. LIPPERT components leads the industry with innovative methods and ideas on providing the best quality axle for any challenge in the trailer market. LIPPERT sets the standard high with the best standard features and options. All Lippert Components axles are proudly assembled in America at one of their three facilities in Indiana, Texas or Oregon. 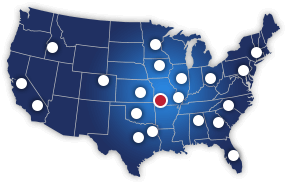 Lippert Components is proud to employ over 7,000 people in the United States. The quality of LCI’s product is a direct result of over 70 combined years of axle engineering experience. LCI’s in-house automation team designed a drill and camber machine which detects axle tube size, centers each tube for accuracy, and ensures that the camber is within tolerance on each axle. This state-of-the art machine utilizes servo control, which ensures precision drilling every time. Lippert Components was the ﬁ rst axle manufacturer to offer waterproof silicone wire connectors on every axle standard. This is an added safety feature that prevents corrosion on brake wires, ensuring that your customers’ brakes work when they are needed the most. Critical welds are all performed by LCI’s state-of-the art robotic welders, ensuring consistent and fully penetrated welds on all spindles, spring seats, torsion arms and torsion brackets. Direct current (DC) nut runners, used in the automotive industry, ensures that the spring is installed to the proper torque speciﬁ cations on all four contact points. LCI records torque readings on every axle manufactured. All Lippert Components axles incorporate zinc plated hardware which hold up to harsh road elements and prevents rust better than standard hardware. the wet painted axle’s 40 hours before corrosion began. Lippert Components is the only company that uses a one-piece integrated spindle. The competition manually welds the brake ﬂ ange onto their axles. The one-piece spindle prevents alignment issues, uneven bearing wear and potential failure caused by inaccurate welds. Lippert axles are less likely to cause uneven tire wear, which can cause chucking, poor fuel economy and other towing issues. Lippert Components was the ﬁ rst in the industry to use ultrasonic testing to ensure the weld integrity of every axle we manufacture. First used in the railroad industry, ultrasonic testing is highly accurate, and permits a higher frequency weld penetration check on all axles. No one else in the industry performs ultrasonic testing. Lippert Components runs magnet amp checks on every axle ensuring that all wiring is working properly. Every brake is adjusted at the time of manufacturing to ensure optimal performance.